If you’re parenting an adult child who lives at home with you, this lament may be all too familiar. You want to support your child if he’s having a tough time getting on his feet, but that probably doesn’t mean you want to be his cook, maid, and ATM. If your child is behaving in a disrespectful way, reverting to adolescent behavior or taking advantage of the situation in any way, it’s naturally going to breed resentment. Know that whether your child is living with you temporarily or for an extended period of time, it doesn’t have to be this way. In an ideal world, our children would reach adulthood equipped with the skills necessary to meet the demands of the world…and that world would offer our kids many opportunities. Unfortunately, that’s not the world many of us live in. Job scarcity, low wages and a host of other factors are often challenges our kids have difficulty overcoming as they enter adulthood. Many families are currently living in “multi-generational homes,” where there may be parents, grandparents and children of all ages in one house. With respect, boundaries and clear expectations, this type of situation can be very positive. There’s nothing wrong with a family supporting each other in difficult times. Many of us have had to “move back home” after a job loss, divorce or other setback we didn’t expect. It can be a lifeline to have family support in the face of these issues. Some families choose to live together out of love, closeness and the desire to spend their years together. If you’re in this type of situation and things are comfortable in your home, this article may not be something you need. But some parents have children in their twenties, thirties or beyond living at home in a situation that is very uncomfortable; things aren’t going well. If you’re in that situation, we’re going to touch on some things you can put in place to make life more tolerable in your home. Don’t forget, this is your home! Coming in at night: While you won’t set a “curfew” for an adult, if you work in the morning or don’t want to be awakened at 3 a.m. by someone coming into the house, you may tell your son and daughter that if they are going to be out past a certain time, they will need to stay at a friend’s place rather than waking you up. If it doesn’t bother you to have them coming in at any hour, then don’t worry about it. You’re not your adult child’s maid: While you may not have a list of “chores” as you would for a younger child, it’s reasonable to tell your adult son or daughter that you expect them to clean up after themselves (their belongings, dishes, cleaning up after using the kitchen, etc). If you find yourself in the role of the “maid,” it can lead to resentment. How will your adult child contribute? Do you expect your adult child to contribute financially to the household in any way? Rent? Utilities? Food? If your child isn’t working and doesn’t have money to contribute, you may choose instead to have him do other things that contribute to the household (housekeeping, lawn maintenance, running errands for you to save you time, etc). In this way, you don’t become resentful for financially supporting your adult child and it gives him the opportunity to feel self-esteem that he is contributing to the home. It’s a reciprocal relationship. Talk about time frames: Is there a time-limit on how long your adult son or daughter will be living in your home? You know your child best; if the situation is open-ended, will he be less motivated to seek employment or become independent? If so, you may want to give a time frame but be prepared: if you give a deadline, stick to it. “Adult” activities: What are the limits on “adult activities” your son or daughter may want to engage in while living in your home? For example, are overnight guests okay? Alcohol or tobacco use? Just because your child is now an adult doesn’t give her the right to engage in activities in your home that you aren’t comfortable with. Also, if you have younger children in the home, you may not want certain activities to occur that aren’t consistent with your values. You have the right to determine what behaviors are acceptable in your home. If you don’t allow smoking in your home and a neighbor comes over, would you ask him to smoke outside? If yes, then the same applies to your adult child. These are just a few examples of things to consider when your adult son or daughter is living in your home. You can see how these issues form a “picture” of what your home will look like. You may find that new issues come up as time goes on and that’s okay: it’s a process. Your picture may change and evolve over time. Once you (and your spouse if you’re married) decide on what’s expected, put it down on paper. It doesn’t have to be worded in a punitive or threatening way. Your intention is to create an open, positive communication with your adult child, right from the beginning. So talk your expectations over with your son or daughter. They probably also have expectations of what things will look like. You may choose to negotiate some points if you’re comfortable; but the bottom line is that this is your home. You make the final decision. Once you’ve entered into a mutual agreement with your adult son or daughter on how things will be in your home, you control only one thing: your own behavior. It’s up to them whether or not they’ll also adhere to the agreement. Remember, even though your daughter is an adult, she is still your child. And our kids tend to push limits and avoid things that make them uncomfortable. 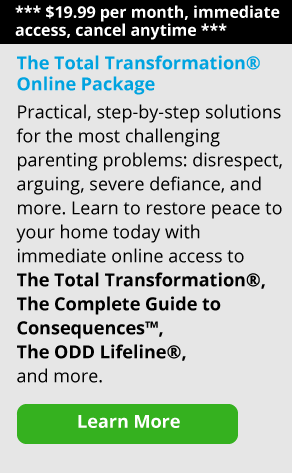 They may not do so intentionally or with malice, but you might find your adult child slipping back into (or never leaving) a pattern of adolescence. 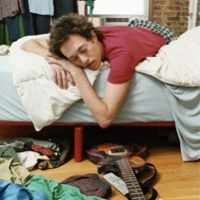 Arguing with you or their siblings, leaving messes, disrespect, thoughtlessness – these are all things parents look forward to not having to put up with once the magic age of eighteen is reached. If you find your adult son or daughter is falling back into such behaviors, have a sit-down right away. Don’t let it slide thinking it’ll improve. Communicate in a positive way that the mutual agreement isn’t being followed and clarify what needs to change. Remember, living in your home past the age of eighteen is a privilege, not a right! If it’s mutually beneficial and respectful – great! If not – if you’re being verbally abused or taken advantage of – you have the right to set boundaries. Those boundaries may include that adult child no longer being able to live in your home. Think of it this way: if he really needs a place to live and your support, he can choose to follow your expectations and house rules. Boundaries – Don’t be a Perpetual Caretaker! Sometimes it’s not our adult child who falls back into “old patterns.” It’s very easy to fall back into doing things for our kids that they can do for themselves: cooking, cleaning, laundry, paying their bills. This is what we refer to as “Caretaking.” Initially, it may make us feel good, even needed. But it can end in resentment. It can also undermine our adult child’s self-esteem and confidence. So allow him or her to contribute. If you make dinner five nights a week, let them make dinner two of the nights, for example. Some parents question whether or not they have the right to tell their adult son or daughter they can’t use substances in their home. The answer is YES! You have the absolute right to determine which substances (alcohol, tobacco, marijuana or any other type of drug) are allowed in your home. Period. It doesn’t matter if marijuana is legal in your state. It doesn’t matter if your son or daughter has a medical marijuana card. If you’re not okay with it, they need to keep it out of your home. If you believe the medical marijuana use is valid, that’s up to you. If you don’t however, your adult child will need to keep his supply elsewhere. No one can force you to go against your values. They may try to manipulate you through guilt, persuasion, threats or emotional blackmail, but the decision is yours. You don’t have to defend your decision to your son or daughter. A simple, “No, I don’t allow that in the home,” will suffice. If your adult child finds this unacceptable or wants to argue the point, he may choose to live elsewhere, in a place he can use that substance. Everyone in your home has the right to live free of verbal or physical abuse. You have the right to set boundaries, rules and expectations in your home. If you had a tenant, you would have that right. It’s the same when that “tenant” is your adult son or daughter. Once you’ve agreed on what’s expected, everyone has the responsibility to live up to that agreement. Will it always be perfect? Not likely; nothing is. If things get off track, have a family meeting to bring it back in line, as soon as possible. You’re in a situation where adults are living together, possibly with younger children in your home as well. The key to success is positive, clear communication and mutual respect.